I won't lie - I really hate when I have acne. I know it's (mostly) out of my control, and it's superficial, but it still bothers me! I think, more than the break out itself, I hate the unpredictability of it - not knowing when a zit is going to crop up, or how long it's going to take to go away. I also hate that no matter how careful I am about my skin, I can't avoid breaking out completely. Which is why I got nervous when I started to break out before pageant week - I'll have enough to worry about while I'm there; I don't really want to be stressing over my face while I'm there. No matter how much make-up I put on to try to cover up a break out, it still always feels like it's all anybody is looking at. Obviously, rationally, I know that's not true - but that doesn't stop me from feeling like it. I've shared my skincare routine before (here, here, and here) - I am pretty careful about my skin and taking care of it! 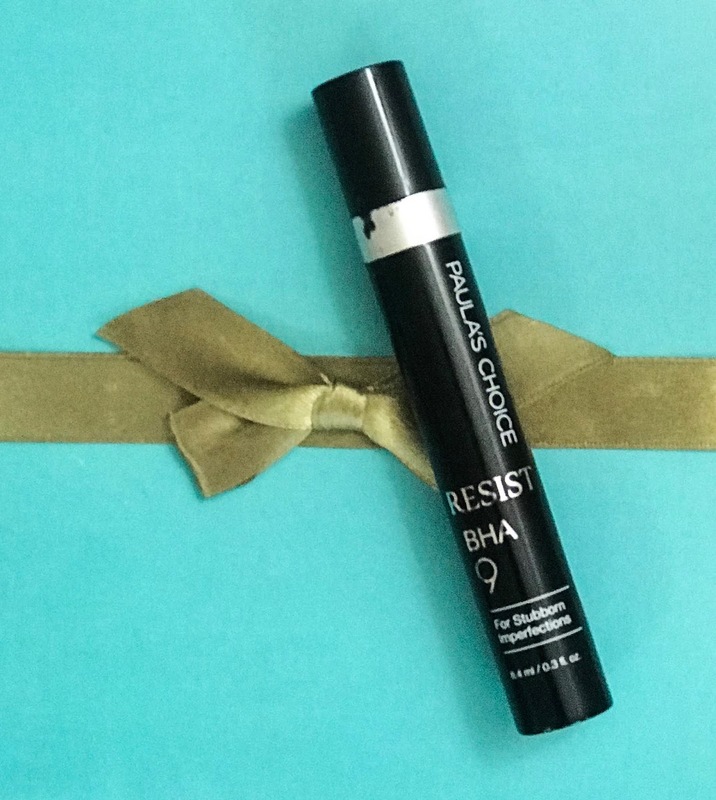 But when I get a breakout, I turn to this potent 9% BHA solution from Paula's Choice. It's 9% salicylic acid, so it's strong and targeted - when I put this on a break out at night, it's noticeably smaller and less irritated in the morning. It still takes a few days to get rid of it completely, but adding it to my normal routine definitely speeds the process along. A little bit goes a very, very long way, so make sure to use sparingly!